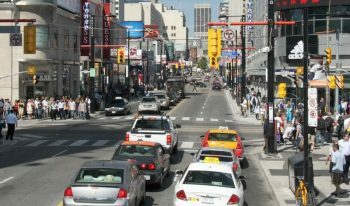 Yonge Street is Toronto’s “main street.” It is a vibrant area where thousands of people visit, live, work, play and learn. In the heart of Yonge Street, between Queen Street and College/Carlton Street, the sidewalks are filled with the highest pedestrian volumes in Canada, at all hours of the day and throughout all seasons of the year. This study will develop and review design options intended to improve streetscaping and increase pedestrian space, along with other possibilities to improve the way people move through and enjoy Yonge Street between Queen Street and College/Carlton Street. This study will be carried out as a Schedule ‘C’ Municipal Class Environmental Assessment (EA). 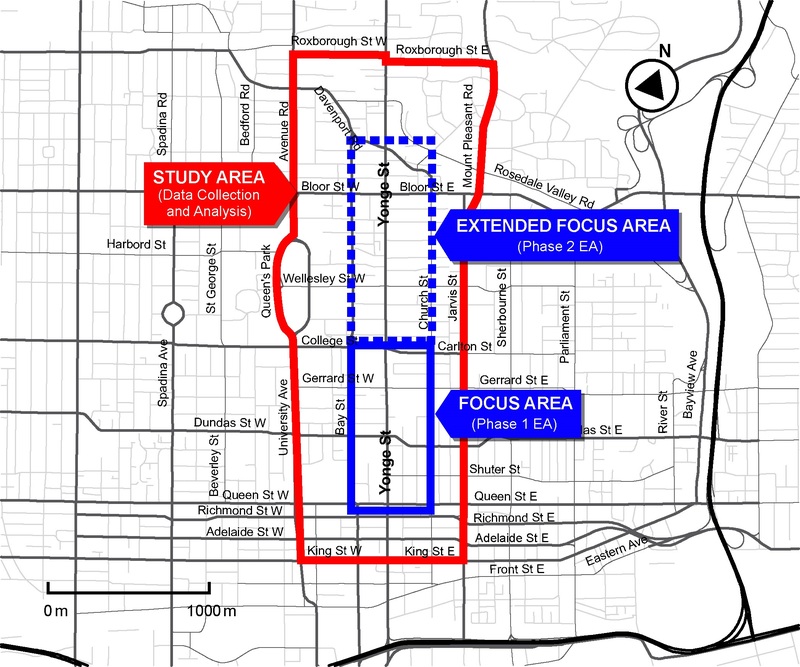 A Phase 2 EA study will look at potential changes to Yonge Street north of College/Carlton Street to Davenport Road. Decisions about possible changes have not been made. Further study is required. The Study will investigate what is physically able to fit within the limited width of the City’s right-of-way (i.e., public property) on Yonge Street. There will be challenging trade-offs between alternatives to be evaluated. The Project Team will work with experts, stakeholders and the public to develop and evaluate the alternatives and design options. The opinions and input of all road users, local property representatives and other stakeholders will play an important role in forming the Study’s recommendations. We want to hear from you! Further details about upcoming online and face-to-face public consultation opportunities will be published in the coming months.